Fat loss is a multi billion pound industry which is constantly mystified and complicated by companies and individuals seeking to make big money out of people requiring help. So here’s the first point I want to make and it’s not something advertised by most personal trainers or individuals in the weight loss sector “it’s not that complicated”. Now that isn’t to say its easy either but in my opinion the bombardment of misinformation we have suffered over the last decade has led to most people setting off on a fat loss journey in completely the wrong direction. Statistics in relation to body fat levels and BMI are continuing to rise to levels far in excess of what is healthy or even physically comfortable. So if we are all more aware of the importance of losing weight, and there are more and more so called miracle diets, exercise routines, DVDs and fitness gurus etc out there, what is the problem? While science has gone a long way to develop ideas in relation to effective exercise and nutrition it has also overly complicated a basic issue, the human body does not want to carry an excess of fat ! 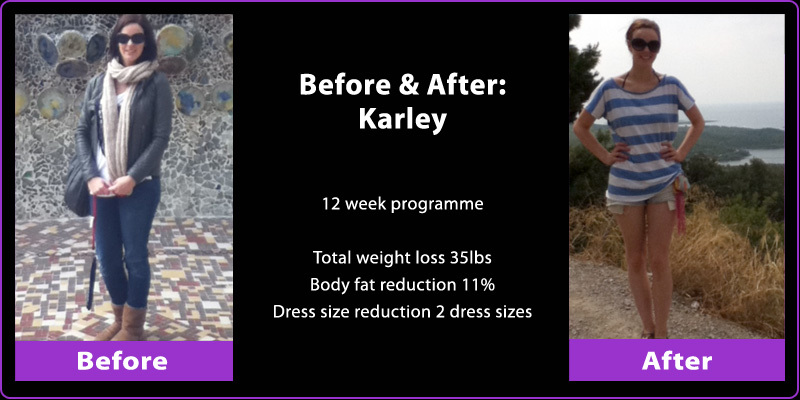 With the right kind of effective training and simple nutrition I believe I can condition any individual to lose weight and more importantly completely change their body shape. The true science of weight loss lies in assessing a potential client on an individual basis and working out what will be effective for them from the multitude of useful techniques and strategies research has provided. There are many ways of increasing metabolic activity so that a person will burn more calories at work and rest than they are currently. My job as your trainer is to assess you in such a way that we can implement the best fat loss programme for you and your specific body typing, genetics, life style, capabilities and goals. Let me give you a very basic example, there are three different types of bodies, mesomorph, ectomorph and endomorph. All three of these body types would require a different approach to nutrition and training to achieve the same goal. This would also vary depending on gender, sensitive to carbohydrates and basal metabolic rate. So what becomes important is not how effective the most recent fad diet or fat exercise technique is but whether you are doing what’s right for your body in the safest most high intensity way possible. What I aim to do with clients is re-educate in terms of what is important, teach correct nutrition (which generally involves eating more not less) and motivate them to stick to a plan which will result in them having a more effective metabolism and fat burning engine leading to a leaner, stronger and more toned body. Simple really ! And that isn’t said lightly because I understand the difficulties involved in having the discipline to stick to a routine. But my record in achieving results for my clients speaks for itself and I’m confident enough to say that I could do the same for you. Please see my testimonial page to hear what other clients have said. Share the post "Weight Loss"